Pigeons are not as stupid as you might think (see previous posts). And now it seems they are making a moral choice about which coffee shops to frequent. Not for them the tax avoiders but Costa coffee, owned by Whitbread PLC, and proud to pay its tax in the UK. 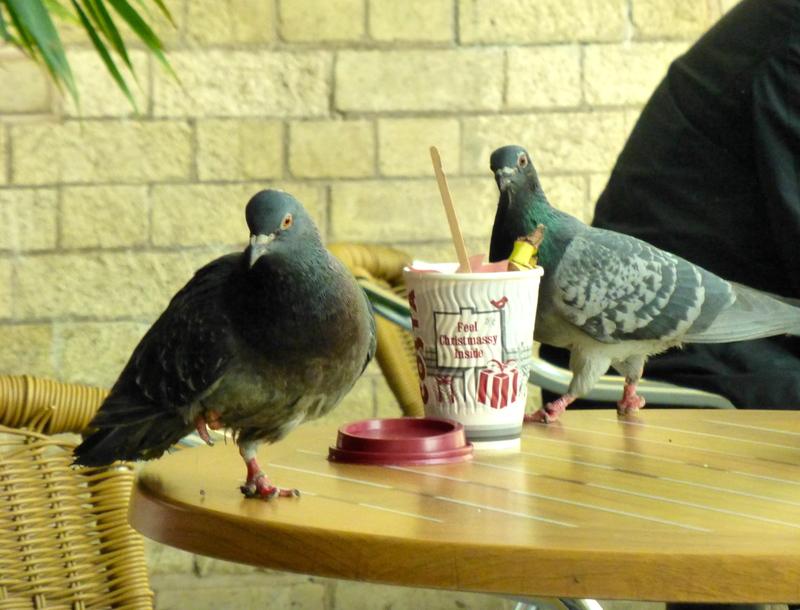 Categories: Happiness, Lifestyle | Tags: Coffee, Costa Coffee, pigeons, tax | Permalink.